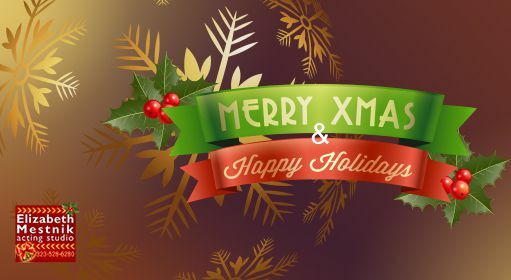 All of us at Elizabeth Mesnik’s Acting Studio would like to wish you a Merry Christmas and Happy Holidays! We hope the season is full of warmth and Cheer! Check out our Schedule for the New Year, including our a new class in the “Technique” series beginning on the January 6th .